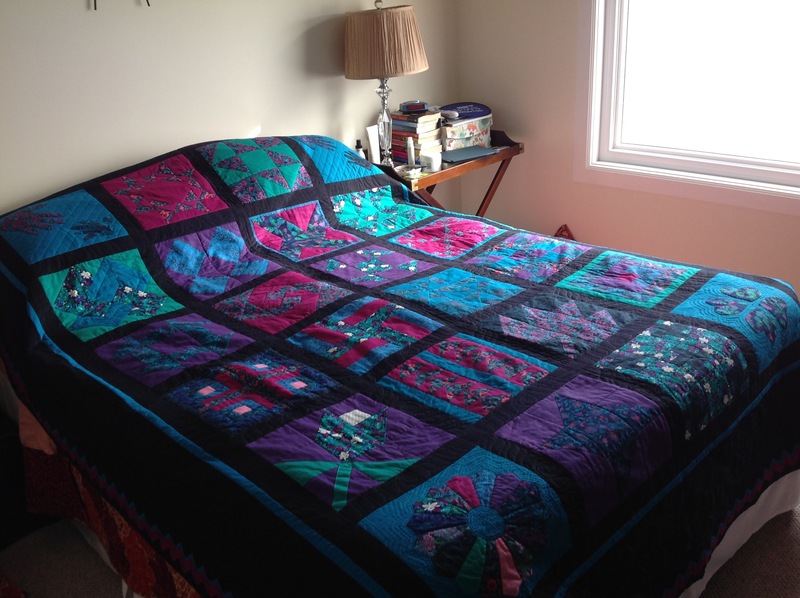 Twenty four years ago my friend Darrell made this beautiful sampler quilt. She sandwiched it, did some hand quilting and but on the binding but she never did any quilting in the 8 inch wide border. Last week she gave it to me and asked if I could put something in the border. It felt that the quilt needed some soft flowing quilting rather than lines and angles. I chose a free hand meandering feather motif. Once I was finished the border I felt that the quilt needed something to balance the dense quilting on the border with the rest of the quilt. Darrell gave me the go ahead to put a design in the black sashing around the blocks. I like the overall look now. It looks more balanced. I had no plan when I loaded this quilt on the frame. I just grabbed some rulers and started making shapes and filling them in with dense quilting. I just finished this lovely log cabin quilt. Once again Rosalie did an amazing job of piecing and pressing. 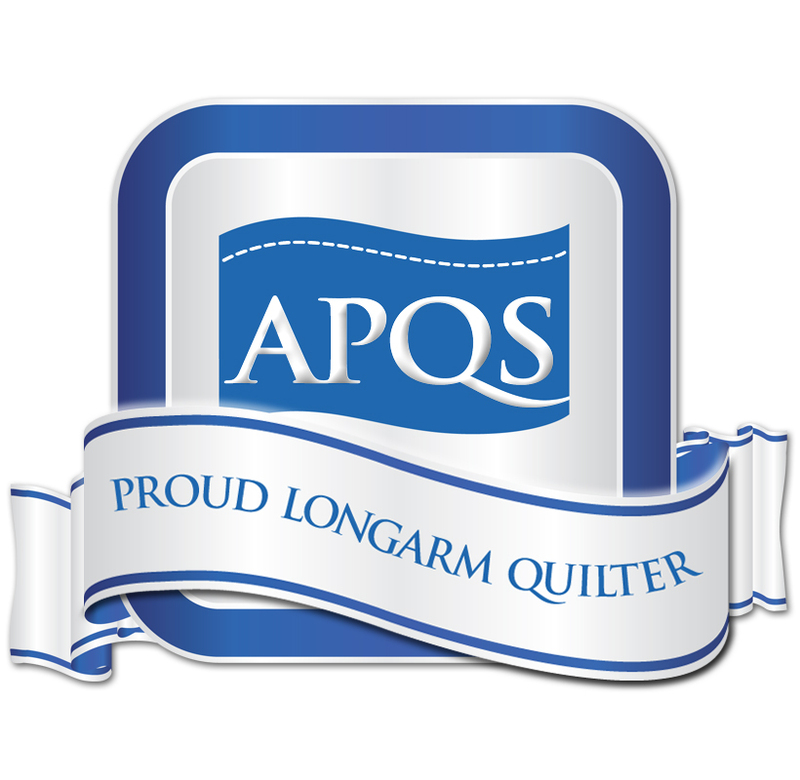 It makes it so much easier for me to do the long arm work when a quilt top is well pressed. I did custom piano keys in the outer border and “Tickle Too” in the main body of the quilt. Unfortunately I couldn’t get a good picture of the quilt without the sun casting a shadow of our pergola across the side of it.